A first edition/first impression of When Will There Be Good News? 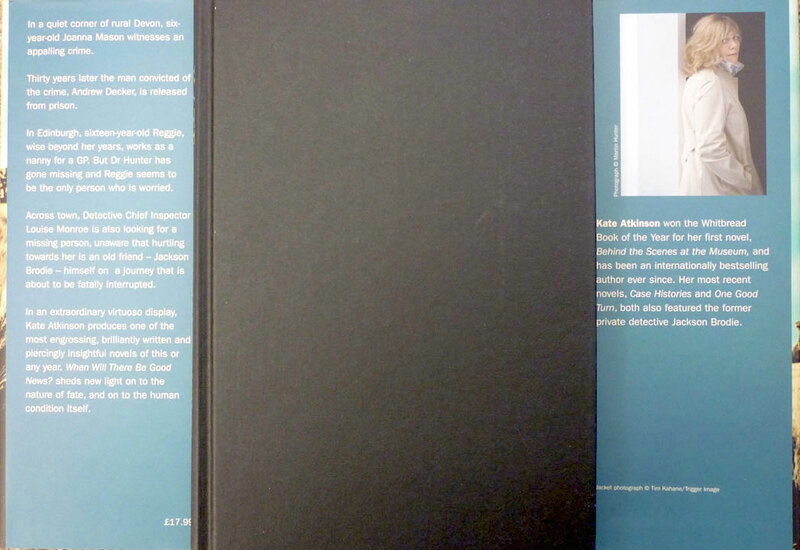 by Kate Atkinson, published in hardback by Doubleday in 2008, dust jacket photograph by Tim Kahane. The third novel in Atkinson's four-book (thus far) series featuring dour middle-aged private investigator Jackson Brodie, I have actually blogged about this edition before: I bought a secondhand copy in Oxfam Books in Brighton in 2011 and shortly after posted this missive, in which I made some snide remarks about the dust jacket copywriter (and assembled a Jackson Brodie first edition cover gallery, but that's by the by). As it turned out, those remarks were not only snide but ill-informed and wide of the mark: having since read the novel I've discovered that it does indeed shed "new light on to the nature of fate, and on to the human condition itself", and it has since become my favourite of the Jackson Brodie series: a warm, wise, witty, deeply affecting novel about love, loss and, as Neil Hannon once put it, the certainty of chance. I'm not sure why When Will There Be Good News? 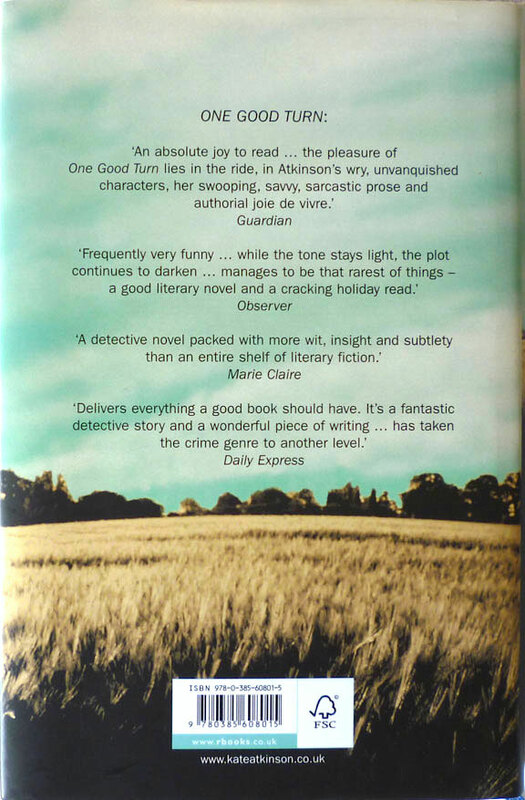 struck more of a nerve with me than the other Jackson Brodie novels – Case Histories (2004), One Good Turn (2006) and Started Early, Took My Dog (20010) – all of which I like a lot; certainly the tangled web of human interaction which drives the story, and which greatly appeals to me, is no more tangled – nor indeed web-like – here than in the other books. 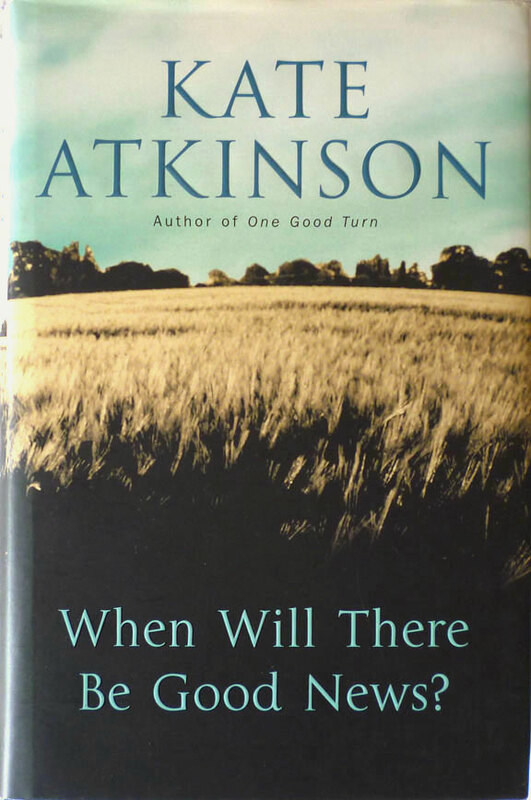 But the twists and turns do, I think, in this instance pack an additional punch, even for an emotional cripple like myself – no more so than at the midpoint, where Jackson makes a revelatory post-traumatic recovery, and in the penultimate chapter, where a cathartic reveal, also involving Jackson, neatly bookends the horrific prologue in the wheat field. Anyway, whatever the reason, this signed first edition, bearing on the title page Atkinson's initials – as opposed to her full signature; see my first of her most recent novel, Life After Life – is a nice addition to my collection, and now nestles alongside my similarly signed first of the preceding Brodie novel, One Good Turn. 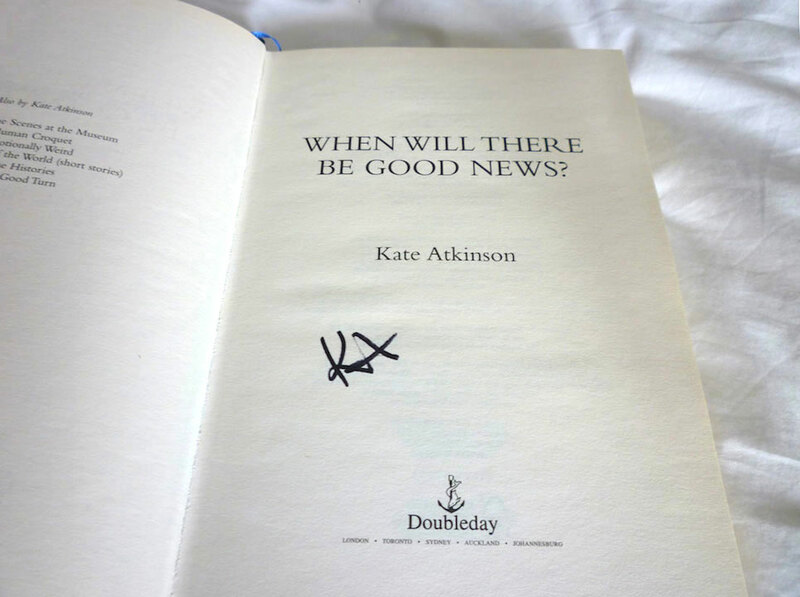 Signed editions of Kate Atkinson's various novels are in fairly plentiful supply – there are over 150 on AbeBooks alone, ten of which being the Doubleday first of When Will There Be Good News? – but signed books by the next author I'll be blogging about about are somewhat thinner on the ground. In fact there are just two signed copies that I know of among the eighteen novels in his backlist; and with my most recent birthday present from my sister, I now own both of them. every time I see a good auction on eBay UK, I always fear you beat me on it. Heck, you don't need to pay for intl shipping. I really have to pick and choose these days though, Ray. I just don't have much in the way of spare cash!